Many homes in the Durham, North Carolina community are in need of siding replacement. Hatch Holmes is Durham’s top rated siding contractor. 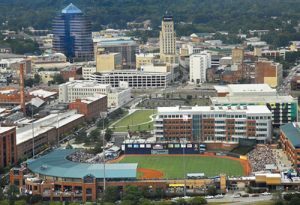 Our company is located in the heart of Durham at 401 W Greer St, Durham, NC. 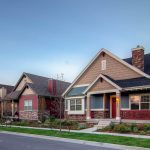 Hatch Homes is the local siding contractor that is partnered with James Hardie Building Products to deliver expert siding installation of Hardie Board and unmatched customer service. Our company is certified, endorsed and recommended by the manufacturer of hardyplank siding to Durham, NC homeowners. The Hatch siding technicians are factory trained and their craftsmanship is subject to audit by James Hardie. In addition to Hardie Fiber Cement Siding, we also offer Mastic Vinyl Siding. Our company is an Elite Preferred Contractor through Mastic’s contractor certification program. Hatch is also a certified siding professional through the VSI (Vinyl Siding Institute). To compliment our siding replacement services, we also offer new replacement windows and roof installation in Durham, NC. Durham serves as one of the cornerstones of North Carolina’s research triangle along with Raleigh, NC and Chapel Hill, NC. Durham is conveniently located next to several other Raleigh suburbs including Blackwood NC, Hillsborough NC, Braggtown NC, Bahama NC, Oak Grove NC and Bethesda NC. Home to both Duke University and North Carolina Central University, Durham is one of the education capital’s of the country. It is one of the best communities on the Raleigh are to raise a family. Many company’s also call Durham home including IBM, Blue Cross & Blue Shield, and Fidelity Investments. The majority of homes within Durham, NC would benefit from exterior remodeling services. Contact Hatch Homes today to kick off your siding, roof or window replacement project. 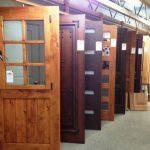 Hatch Homes offers expert siding installation at unbeatable prices in the following Durham, NC neighborhoods. Hatch Homes is the leading siding contractor in Durham, NC. Our company goal is to re-engineer the customer experience for those seeking home improvement services in Western Carolina by bringing transparency and professionalism to the exterior remodeling industry. Contact our team today to learn more about siding replacement and to see if Hatch Homes is the right partner for your upcoming remodeling project.